Last year, when I was a brand new, baby blogger, I learned about an event called FinCon. 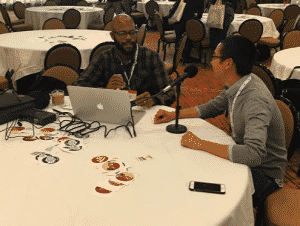 If you’ve never heard of FinCon, it’s basically a gathering of personal finance bloggers and podcasters (with the occasional YouTuber thrown in). Yes, it’s as nerdy as it sounds. But if you’re deep in this personal finance/blogging world, then man – it’s the coolest thing in the world. 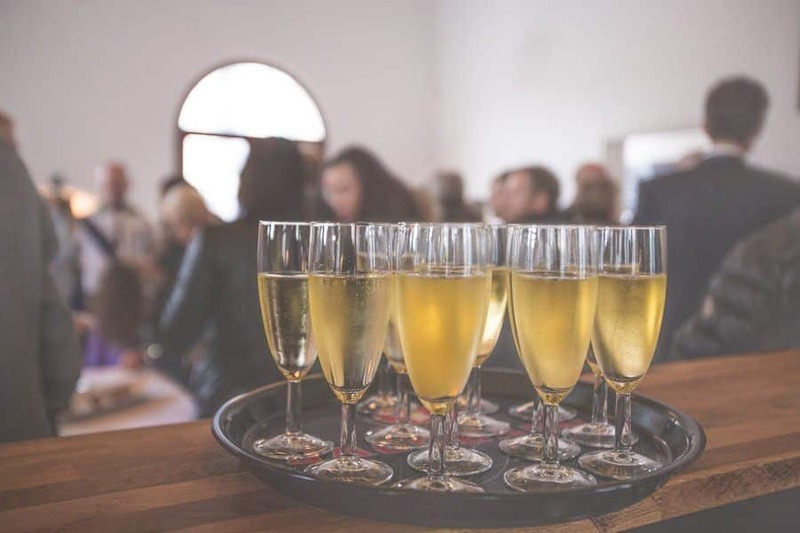 My blog was only a few months old at the time, and with just a sprinkling of posts and not that much traffic, I felt that I hadn’t “earned” my right to go to FinCon just yet. As soon as FinCon 2016 came to an end, I purchased my ticket for the next FinCon that was going to be held in Dallas. Buying the ticket last year not only allowed me to get the ticket at a substantially reduced price, but was also a nice little challenge to myself. With my FinCon ticket in hand and the money already spent, I had some extra motivation to keep posting regularly lest my money go to waste. It was a powerful motivator, and I think it’s something that helped me to keep pushing out consistent content (albeit, not as consistently as I’d like). FinCon itself was more amazing than I imagined it. Even though I’d only met a handful of people in real life, there was no awkwardness at the conference. You spend so much time online with this community that you can’t help but feel like you’re hanging out with friends, even if you’ve never met in person. After five days, I came back from the conference pumped to implement the new things I learned and make this blog even better in its second year. And like a true personal finance dork, as soon as I got home, I sat down and began calculating exactly how much I had spent for the five-day trip. After all, this is a personal finance blog. So, a little-known fact – Financial Panther is actually a two-man operation. I do all the writing and my best friend does all the web development stuff for me behind the scenes. A lot of people were confused by this since we showed up at FinCon with two people wearing Financial Panther badges – one of whom looked nothing like the picture that graces the front page of this site. 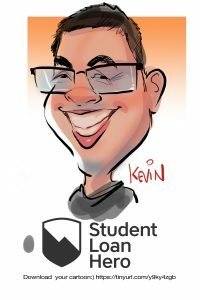 The man behind the scenes (caricature courtesy of Student Loan Hero). I don’t think this really looks that much like me, to be honest. I went to FinCon with the goal of doing two things. First, learning was obviously something that I wanted to do. There’s so much information out there and there’s really no better way to improve your own skills than by learning from people who are farther along than you are. If you’re looking to learn from the very best, FinCon is the place to go. There’s absolutely no shortage of learning you can do there. The second – and more important goal – was to connect with people. This blog got its first big boost last year when I met up with some dude named Physician On Fire, who at the time, had been blogging for less than a year. He was kind enough to write about meeting up with me in his Sunday Best series and it was essentially the first big exposure I received as a new blogger. Since then, I’ve made it a point to make sure that, if anyone wants to meet up, I’m there. You never know who might help you along the way. And there were plenty of people to meet and connect with at FinCon. Physician On Fire was out there hustling in the marketing game! Attended CardCon – This was a conference about credit cards that was held on the Wednesday before the official start of FinCon. Ultimately, while somewhat interesting, CardCon probably wasn’t the best fit for me. I thought it’d be more a conference about travel hacking with credit cards and how to write about it, but a lot of the info seemed much more industry related – things like how to market credit card products or the latest trends in credit card products. I ended up buying two tickets to go to CardCon, but in retrospect, I probably should have just bought one and had one of us attend. Listened To Some Great Keynote Speeches – There were a ton of great keynote speeches there from some heavy hitters, including Paula Pant and Darren Rowse. David Bach gave away copies of his updated version of The Automatic Millionaire, which I loved. That was seriously the first book I read about personal finance back when I was 17 years old. Did A Quick Live Podcast With Popcorn Finance – I’ve done a few podcasts before, but this was my first live podcast, which I think is way less awkward since you can see who you’re talking to. Even better, Chris, who hosts Popcorn Finance, is also a dude who delivers on Postmates in his spare time. He knows the side hustle game and we had fun chatting about our delivery experiences. Won An Amazon Echo Dot – Experian was giving away Amazon Echo Dots and I was lucky enough to win one. For the last three days, I’ve been constantly asking Alexa for the weather forecast and to turn on and off my lights. My wife is not amused. Got Tons Of Free Shirts – Anyone who knows me knows that I love free swag. I’ve been on a mission for the last two years to get as many startup company shirts as I can, and FinCon helped me add to that collection. I’m close to 100 startup shirts now. 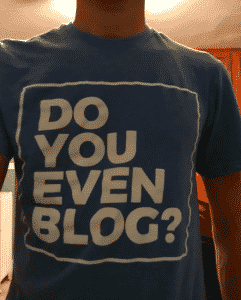 Shout out to Pete at Do You Even Blog for the sweet shirt. Attended The Plutus Awards – This is an award show for all of the best bloggers out there and was a ton of fun. Congrats to everyone that was nominated and that took home a Plutus. Hopefully, Financial Panther can get there one day! Learned Some Great Stuff – I came back from FinCon with some great ideas to help improve this blog. The big news is that after talking to folks, I decided to go ahead and purchase www.financialpanther.com, which was a parked domain that I couldn’t afford before. It’ll be a huge undertaking to move the site over to that domain name, but I think it’ll really help make it easier for people to find the blog and develop the brand. FinCon is a big place. I’m not an introvert by any means, but I can definitely feel uncomfortable when I’m in a room full of strangers. The amazing thing about FinCon, though, was just how comfortable I felt there. It was like hanging out with old friends. And anyone else I might have missed – I seriously didn’t forget you. I’m just super disorganized! Any discussion about FinCon wouldn’t be complete without talking about the partying aspect of it. 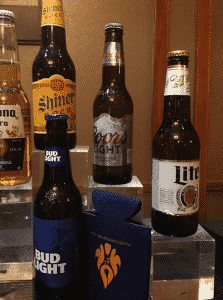 And yes, you will party at FinCon. When I worked in biglaw, I was famous for mooching free food wherever I could find it, and FinCon was no different. I specifically went around looking for where I could get free stuff. The night before the official start of FinCon, I had dinner with some blogger friends, then attended a pub crawl hosted by MediaVine. Free drinks galore! The first official night of FinCon was even better, with a huge event hosted by Ally at a place called the Rustic. This was literally every blogger out there hanging out, drinking, and eating in a huge restaurant. While I was chatting with some folks, I received a ping on my phone notifying me that there was a dog a few blocks away that I could walk on Wag. In order to show off my side hustling prowess, I decided to accept the offer, went to the apartment that was just down the street, and walked the dog around the neighborhood. I got paid $18 to do it and was able to show a few folks exactly how the side hustling game works. The hustle never stops for me! 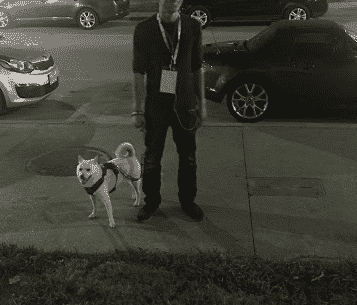 Me with the cute pup that I walked that evening. The second night of FinCon, I ended up following some folks to a gathering at a restaurant downtown. I have no idea if this was an official event or not, but eventually, it was packed to the brim with personal finance bloggers and people were just bringing out free drinks for everyone. Another score! The last night was the final FinCon party held right after the Plutus Awards. Again, every blogger was around partying and dancing up a storm. It was super fun – although beers there cost $9 a piece. Ouch! I managed to snag myself two free drink tickets though. How Much Does It Cost To Go To FinCon? Since this is a personal finance blog, the thing you’re probably wondering is how much going to FinCon will cost you. When I got back, I gathered up all of my receipts and added up exactly how much I spent for my five days there. Here’s a more detailed explanation so you can understand why this cost what it did. Remember, these were expenses for two people to attend, so if you’re just one person, you can pretty much cut these costs in half. FinCon Tickets: My friend and I bought our FinCon tickets the day they went on sale last year. FinCon tickets cost less the earlier you purchase them, which is why we were able to get them at $189 (we already went ahead and bought our ticket for next year too). If you’re a newer blogger, you can also apply for the FinCon Scholarship that’s offered later in the year. If you win that, you get a free ticket to FinCon. It seems like they pick a lot of winners, which means I think you have a good shot if you just apply. Airfare: We started tracking flights about six months beforehand using my favorite travel app, Hopper. Once a good deal popped up, we snagged the flight. Thankfully, it was an affordable, non-stop flight at reasonable hours. Hotel: We got five nights at a Crowne Plaza hotel using Hotwire. The hotel wasn’t amazing, but at just $95 per night, it was worth it. And it was only a short walk to the Sheraton, where FinCon was being held. CardCon Tickets: I thought this would be worth checking out, so we ended up buying two tickets for CardCon. If you’re not writing about credit cards, you can pretty much ignore this expense. Transportation: This category accounts for our costs to get to and from the airport and costs of Ubers to get around town. Getting to and from the airport cost us pretty much nothing – we ended up taking the bus and train to get to and from MSP, and then took the DART to get between DFW and downtown. Our most expensive cost was taking a few Ubers to get to different places to eat. 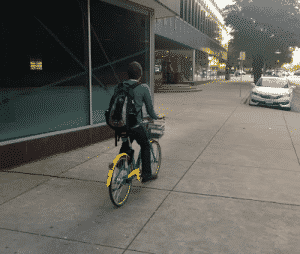 I used Lime Bike one morning to get to the conference. The first ride was free, so it cost me nothing to bike over. Food/Drink: This was the cost of all of our meals and drinks. Thankfully, there are tons of events going on where you can get free food and drinks, so you can really reduce this category if necessary. I also have the Chase Sapphire Reserve card, so I was able to snag some free food at the lounge in MSP and the lounge in DFW. Also, remember that this is the cost for two of us to eat and drink. If you’re just one person, you can cut this cost in half. In the end, FinCon was well worth it, both on a personal level and on a professional level. I came back from it energized, with a ton of knowledge, some great connections, and hopefully, what I think are some new friends. For most of you, your costs won’t be as high as what I listed. Remember, everything I listed was the cost for two people, which essentially means costs were doubled. If you divide the costs I listed per person, we managed to do five days at FinCon for about $865 per person. The actual cost is even less than that if you consider that this entire trip was a business expense, and thus, we’re using tax-free business income in order to do this trip. So what’s your goal in terms of money if you’re looking to get to FinCon in 2018? I’d say figure out a way to budget $1,000 for the trip and you’ll be in great shape. If you start today, you’re looking at saving just $100 or so per month. That’s nothing! I’ve already got my FinCon ticket for 2018, so hopefully, if I didn’t get to catch you in 2017, I’ll see you in 2018. Are you going to FinCon 2018? Prices keep going up, so if you plan to go, it’s better to buy your ticket sooner, rather than later. If you feel like supporting this site, please use my FinCon referral link to buy your ticket for FinCon 2018. Hahha nice that you showed off your side hustle game there. That’s awesome. I had to do it to show that I’m not just all talk! And yeah, I’ll see you in 2018 hopefully! Good job on your side hustle at FinCon. $18 for walking a dog is pretty good money. Judging by everyone’s posts and Twitter feeds, it sounds like it was a great time! Will try to make it to Orlando next year. Do it man! Would be awesome to meet up! Nice. Where is the next year’s conference being held? I am currently in the process of working on peerlessmoneymentor.com so I hope to see you there next year! It’s in Orlando next year, so either really far away or really close depending on where you’re coming from. Also, I think it is pretty cool that you can write this off as a business expense! I am just getting started in the personal finance blogging world and would love to know how that write-off works! It’s pretty simple. You just take your profit minus your expenses. So if your business makes $1,000 and you spend $1,000 on a business expense, your taxable income is $0, since you made no profit (get it? cuz $1,000 minus your expenses equals $0). This scene from a TV show I like called Schitt’s Creek is good too. I just have one more question! What was the day to day schedule like? Were you at the conference from 9-5 each day? The day-to-day was really up to you. They had sessions pretty much all day, and then I met up with people in the evenings. I did skip a lot of sessions because I was hanging out and talking with people, but luckily, they put everything up online so you can rewatch it again later. Great meeting you, Kevin (and Thomas)! And you are right that drawing looks nothing like you. Hope to see you again in Orlando! It was great to meet you to Amy! You’ll definitely see us in Orlando! Already bought my ticket to FinCon18, so I will see you there! I’m trying to decide what to do about hotels, because this location sits in the middle of a huge golf course property, so there’s really nothing within walking distance (in Florida… In September…) and parking at the Rosen Shingle Creek isn’t cheap, but I’m driving up from Southwest Florida anyway, so maybe I’ll just consider that my cost for avoiding airfare. Plenty of other hotels in the land of Mickey Mouse and Harry Potter. Awesome! Yeah, I haven’t looked too closely at the actual conference location, but it does look like it’s in one of the golf course resort places, which might make it a pain to get around. You know I’m all about biking and taking the bus/train to get places. I’m going to FinCon 2018, excited to see you there (and before then)! I’ll definitely see you before then! I love that you side hustled DURING FinCon! It looks like not only was it a great time, but an informative one, too. I hope to meet you next year in Orlando! Haha, I had to show what I was all about. Would definitely be great to meet you next year! We can talk Airbnb stuff! Hopefully I’ll be able to make it next year! Sounded like fun! You definitely gotta make it. My man Future Proof MD will show you a good time. Only the financial panther would go out for an evening of food and drinks and return $18 ahead of where he started. Strong work! Glad our paths crossed once again — let’s not let it be another year before that happens again. Haha, thanks PoF! And yeah, I feel like every time you’re in town, I’m out of town! I might have to grab the blogging crew here and come up to you. I’m assuming you can house all of us. Had a great time hanging out with you and Thomas! 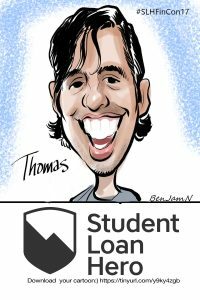 I keep laughing at the Student Loan Hero pic – it looks nothing like you haha. Haha, yeah, looks totally different! And great to hang out with you too man. Let’s stay in touch! Hi Kevin & Thomas!!! Sorry didn’t get to hang out with you guys during the drinks on Friday night – we had dinner with Keith and Sue from Wealthy Accountant and went back early (930pm is ‘early’ for the FinCon crew) to the AirBnB start packing. We had an afternoon flight on Saturday so we missed most of Saturday. Bleah. Great to hang out with you too Ruby! Yeah, for sure you gotta stick around for Saturday night. That’s the big party night! Not going to lie, my mind was blown when I found out there were TWO guys behind Financial Panther. I think I saw both of your name tags and was thoroughly confused for a few seconds before you explained. And hustling mid-conference… that’s awesome! Totally agree with Mrs. Adventure Rich! I love that two of you are working on your blog. I need someone to run the tech part of mine 🙂 We didn’t get much time to chat – but hopefully next year! Yeah, definitely hope we can chat more next year! It’s tough with so many people around and so many things to do. Great to meet you too! I’ll see you in Orlando! Cool. Great breakdown! I was going to wait until it was in NYC, Boston or Philly, but looks like I’ll be heading to Orlando next year. Doing the local chapter here. I agree, there is a certain level of motivation attached when you commit to something in advance. Sounds informative and fun! Hope to see you there. Yeah, it definitely motivates you once you put down some cash like that. Makes you feel like you don’t want to waste it. Thanks for the mention! Just finishing my post and had mentioned you as the top hustler! Thanks Michael! Was really great to meet you in person! Nice cost breakdown! I had no idea you were still hustling during FinCon. Wow, I’m so impressed. We stayed in an airbnb around 20 mins train ride from the conference, which was slightly inconvenient but saved us a ton and gave us a kitchen for cooking and laundry. They say it’s a good idea to stay in the Sheraton or nearby for networking purposes but it didn’t take away from the experience for us. Still got tons of socializing in. Had a great time meeting you, Kevin! Hope to see you again soon! It was great to meet you to Kristy and Bryce. Really, the only disadvantage with staying outside of the hotel was that it forced us to carry our backpacks around. Not a huge deal to me. And yeah, I had to hustle just to show people that I wasn’t all talk, haha. Definitely hope our paths cross again. I’m always following you guys to see where you end up next! Still sobbing a bit on the inside for not making it this year. Dammit! But, got a good excuse with having to fly to Michigan this weekend to work on the new Airbnb. Next year!!! Definitely next year! I’ll see you before then I’m sure! Although we didn’t get to hang out too much, it was great to meet you! See you in Orlando! You should have won the costume contest! I thought for sure you would take home that prize. Hey! It was great meeting you in person and catching up! You and Thomas are a ton of fun! Also, you did better than me on cost. Looks like we were pretty on par other than the hotel. It was nice staying at the hotel with the conference, but next year I may hunt for something a short walk away to save a bit. Better take a look at the conference location… There’s not really anything in “walking distance” for hot & humid Central Florida in September. It’s probably at least a mile or more to the next hotel. Yeah, we saved a ton going with the hotel we found on Hotwire. Not a nice hotel or anything, but it served it’s purpose – plus, it wasn’t like we were hanging out in the hotel anyway. Hope to see you again soon! So many bloggers are writing a round up and I get increasingly jealous after I read each one! I definitely need to sign up for next years FinCon event! It’s a ton of fun! Definitely worth attending to make the connections. Awesome to finally meet you at FinCon! Congrats on the echo dot too, haha! And mad props for side hustling AT THE CONFERENCE… Folks, FP’s online persona as a side hustler is the real deal. This guy is 100% authentic! Haha thanks man! I’m glad I won the Echo Dot because I’m not really sure how useful it is and my wife would have been real mad at me if I had bought one. Thanks so much! Yeah, it’s not a small amount of money, but it’s so worth it just for the connections. I feel like for me, I have two lives with this blog now – before FinCon and after FinCon. Saving up $900 to $1000 bucks is doable. Figure out a way to save or make $100 bucks a month and you’ll be set! I was living vicariously through all of you guys! Last year was a blast in San Diego, but with a little one to take care of, I don’t think I’ll be traveling away from my family for at least another year or so. Can we get on the community to host in San Francisco or Honolulu next? I’d have no problem with that! But we personal finance types I think shy away from the expensive food and lodging locales, haha.